Will Fortnite Battle Royale become a proper esport in 2018? Fortnite is one of the most interesting video games to fully release in 2018. Originally intended as a player-versus-environment (PVE) multiplayer gaming experience, the game launched amidst the height of the rapidly increasing popularity of PlayerUnknown’s Battlegrounds, a last man standing competitive death-match bonanza. In response, developer Epic Games quickly re-tooled its existing engine and released their very own Battle Royale mode for free. As a 100-player player-versus-player (PVP) experience, Fortnite Battle Royale is essentially its own take on the PUBG format and has proved an instant hit, welcoming 1 million players on its debut and the ire of the same competitors its looked to for inspiration. With Fornite Battle Royale recording 1.3 million concurrent users in December 2017 and 30 million players in total, there’s no denying it’s here to stay – it has eclipsed the popularity of its own base game with a playerbase that decently rivals PUBG and that can only indicate to a future competitive esports push. Fortnite is actually made up of two different game modes: The standard player-versus-environment mode, “Save the World”, and the more popular “Battle Royale” mode. Save the World is a co-op sandbox survival game and is focused on crafting items and weapons, exploring a hostile territory, and ultimately survival. Players must build fortified structures to defend themselves against the onslaught of monsters that come in waves by scavenging the right resources and making the most efficient use of them. Battle Royale is exactly as it sounds and it follows a similar approach to other games in the same genre such as PlayerUnknown’s Battlegrounds. Up to 100 players, either solo or in four-man squads, drop into a vast island via parachute and attempt to survive the longest and be crowned last man (or last team) standing. One landed, players must scout for shelter, scavenge for weapons and items, build structures to fortify any advantageous positions, and remain on the move whenever the Storm approaches. The Storm is a mechanic that shrinks down the safe parts of the map, to funnel players towards each other to stop camping or games going on too long. If the player is caught by the Storm, they will take constant damage and eventually die. There are random air drops of resources in the typical round that players can take advantage of as well. The former mode was the game’s original focus, but it’s fair to say Fortnite: Battle Royale eclipsed it in popularity almost immediately due to its free-to-play release, where players could download the Battle Royale mode and play for free, with optional purchases. At the start of 2018, it passed the 40 million players milestone and recorded over 2 million people playing concurrently across consoles and PC platforms. Is Fortnite Battle Royale an esport yet? Despite its massive success in both playerbase and viewership, Fortnite Battle Royale has yet to have any serious esports push outside of smaller, local LAN tournaments. Epic Games has acknowledged the fan’s demand for a competitive esport scene to be built around the game, but have yet to confirm any officially organized league of any sort. No third-party esport event organizers, such the Electronic Sports League or Intel Extreme Masters, have held any invitationals or prototype events, which is slightly strange given similar games like PUBG have had small-scale, $50,000 charity LAN events and invitationals hosted by these big-time organizers. 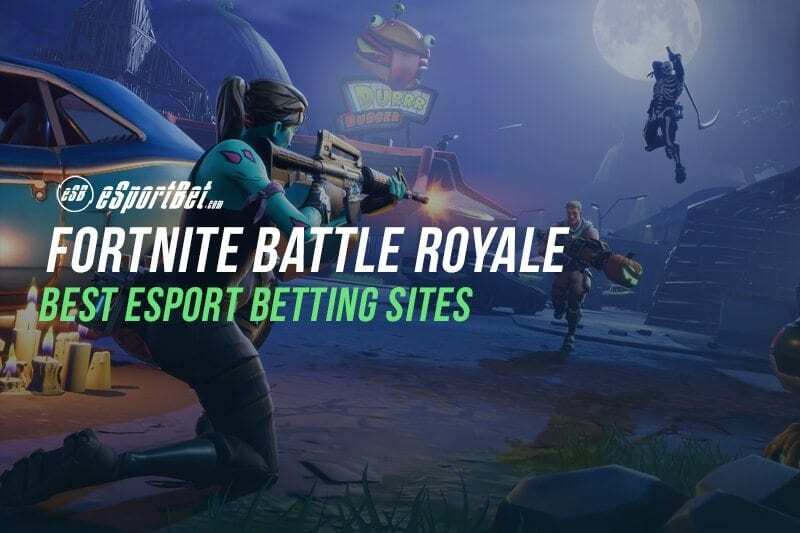 Despite this, several professional gaming teams are preparing for a potential Fornite: Battle Royale esports scene. TeamSoloMid officially announced they are creating a Fortnite: BR esports team and signed their first ever player, Ali “Myth” Kabbani, a popular Fortnite streamer and the highest-ranked Builder in the game’s leaderboards. One of the many common questions we see posed is whether Fortnite Battle Royale has the potential to become an esport in 2018 – here are a few reasons why we think it has a chance, along with the inevitable stumbling blocks the game and its wider sub-genre will have to overcome first. The Battle Royale genre needs balancing out for esports, full-stop. Battle Royale games are proving to be a difficult genre to nail for the esports crowd, in part because of the large amount of players (and subsequently perspectives) the cameras need to follow, in part because of the randomness of circle placement, looting, and terrain placement. Unlike other popular esports, the player’s starting equipment is generally dependent on where they land and whether the RNG gods have deemed it fit to provide decent drops. All too-often, a skilled player who gets extremely unlucky and finds a lousy shield potion or scar falls to a less-skilled player who came across bandages and a rare-drop shotgun. The all-enclosing circle, which determines which small space on the map will be the final battlefield for the last few players standing, can also prove disadvantageous for players who decided to land tactically but got the short-hand on where the borders squeeze. The community is fairly split on the solution for the ‘luck’ factor, given a lot of the appeal of the emergent Battle Royale sub-genre outside of esports is its randomness and playing (and winning) at an extreme disadvantage. It’s thrilling to overcome overwhelming odds when dropped in a battlefield you’re unfamiliar with, and equally thrilling to get dealt the best hand and go out all guns-blazing after a successful landing and looting. Why should the game’s luck and randomness get the blame, when the player should choose where they land more carefully? How we think the esports format should balance this inherent thrill with a fairer start for pro players is a multi-round elimination setup – best of 5 or best of 10. It can ensure all players will have a chance at excelling based on pure skill alone, and that one or two extremely unlucky drops into a battlefield with no helpful loot won’t be the be-all and end-all of their efforts. Because Fortnite has shorter matches than other comparable Battle Royale games, this format could work a lot better here. The final round could be a sudden death version of the game that equips all players with the same amount of healing items and weapons on even playing field, just to shake things up.